Error 3003: Problem in mapping fragments starting at line 257:All the key properties (table.column) of the EntitySet table must be mapped to all the key properties (table.column, table.column) of table table. 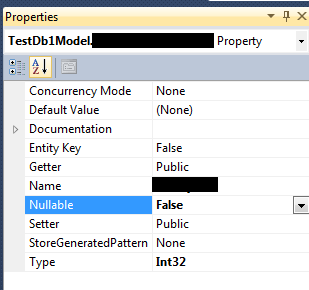 Select the column giving you problems, hit F4 for properties, and change Nullable from (None) to False. Old blog post and very little activity, but in the event that someone gets here as a result of searching for 'Shape2SQL not creating table', I've found a solution. You need to change the database's compatibility level to 'SQL Server 2008 (100)' in Database Properties -> Options -> Compatibility Level. Spatial data features were introduced to SQL Server in the 2008 version and are not compatible with earlier versions from what I can gather.